Miller mushroom is a cooking ingredient in Kingdom Hearts 3. It can be used to create dishes in Remy’s cooking mini-game at Le Grande Bistrot. It’s required in the recipe for stuffed quail, and if you want the Grand Chef keyblade, you’ll have to prepare it at some point. Since this particular shroom is pretty rare, you might have trouble finding it. Our Kingdom Hearts 3 miller mushroom location guide will help you, by showing you how to obtain this ingredient. 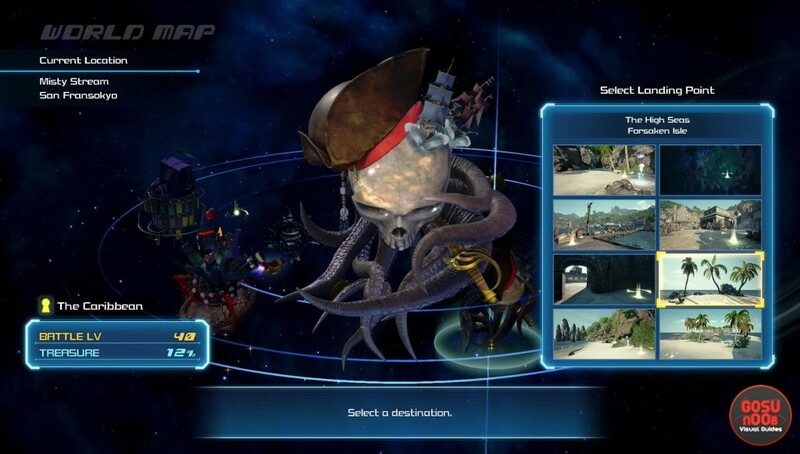 Where to find miller mushroom in KH3? There’s only one place in the entire game where these things grow, as far as we know. Thankfully, you only really need one. You’ll find it in the Caribbean, at the Forsaken Isle. It’s a quick trip, since the island has a waypoint of its own, so you won’t need to sail anywhere. Simply teleport to the sixth fast travel point, and you’ll end up on the tiny island. Once you’re there, look for two big pieces of driftwood next to each other, in the northwestern corner of the island. The mushroom will be growing from one of them. It’s green, so it’s pretty hard to miss amid the washed up colors of the sand and driftwood. We’ve heard rumors about another batch of miller mushrooms on Exile Island, south of Forsaken Isle, but we haven’t been able to find them. If you manage to discover another location where these delicacies are available, be sure to share it in the comments. If you intend to spend a lot of time cooking, you should check out our guide for getting excellent in Remy’s cooking mini-game. And if you’re having trouble with other parts of the game, we’ve also written guides about battlegate locations, photo missions and lucky emblems. Found some on sandbar isle by the coconut trees near the save point! I found some Miller Mushrooms in the gorge section of Arendele behind some breakable bushes, just after you have to wall rub up a whole bunch of cliffs.